Timothy Solberg, PhD, of the University of California San Francisco gives an update on Novalis Certified. He begins by highlighting a safety profile assessment survey conducted in the United States about patterns of practice for safety-critical processes in radiation oncology. He goes on to discuss medical errors and their consequences and focuses in specifically on preventable errors in stereotactic radiosurgery (SRS) and stereotactic body radiotherapy (SBRT). He highlights how Novalis Certified promotes a “just” culture that translates to a safe culture. Solberg then outlines why the independent Novalis Certified program exists: To standardize SRS/SBRT at universally high levels and to prevent SRS/SBRT errors. He outlines what the program does as well as its structure and goals and explains in more detail the certification process. World-renowned Novalis® radiosurgery expert and has been deeply involved in the application and development of this technology since its first installation at UCLA more than 18 years ago. He is one of our most sophisticated and experienced medical physics advocate and has dedicated himself to both the advancement of clinical capabilities and the education of Novalis Circle members worldwide. He has more than 25 years of experience in stereotactic radiosurgery – having participated in his first patient treatment in 1990. Dr. Solberg received an M.S. in Physics from the University of California, Davis in 1988, and a PhD in Biomedical Physics from the University of California, Los Angeles, in 1996. He later assumed the positions of Vice Chair and Director of Medical Physics in the Department of Radiation Oncology at UCLA, UT Southwestern and at Hospital of the University of Pennsylvania. Dr. Solberg is board certified by the American Board of Radiology Center. At the University of California, San Francisco, he is appointed as Professor and Vice Chair of the Medical Physics department. Dr. Solberg has been involved in SRS and SBRT since 1990. Dr. Solberg is actively involved in numerous professional societies, including the American Association of Physicists in Medicine, American College of Medical Physics, American Society for Radiation Oncology American Society for Therapeutic Radiology and Oncology, European Society for Therapeutic Radiology and Oncology, and American College of Radiology. 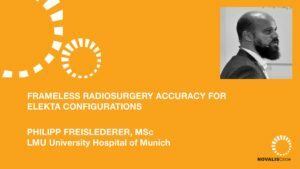 Dr. Solberg is deputy editor-in-chief for the Journal of Applied Clinical Medical Physics, Associate Editor for the Journal of Radiosurgery and Stereotactic Body Radiation Therapy, and reviews manuscripts for many other journals. 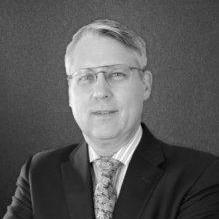 Dr. Solberg is a fellow of the AAPM, ACMP and ACR, and was named an American Cancer Society Research Scholar in 2003. Tools for analysis of large data sets.